Date of birth on 28th September of 2015. I am sure you also remember this kid in the first class, the age of 6 who sits quiet in the corner. Writing his first letters in the most nice handwriting, while the other kids, make some clumsy form with the ink. And when finished. The paper has blue spots everywhere and there is a drawing on it, almost like art. Nothing like a letter... This kid, who doesn't fight or bully the other kids. Just because... he already knows all of this fighting is not necessary. He plays on his own. Quiet and calm. No damaged skin. Clean trousers after the break. After a while. Growing, developing and being anonymous. He gets attention of the teachers, not because he jumps in front of all, to show how good he is. Not because he is extraordinary. But because of his attitude, he behaves like an educated personality. Without being spoiled. Well, this kid. It is our ottoman. The first weeks in his litter he did not catch our attention. He was almost ordinary. A grey mouse between the other grey ones. A very nice puppy. But boring... When he developed he showed glimpses of his golden character. He learns fast and is eager to work. 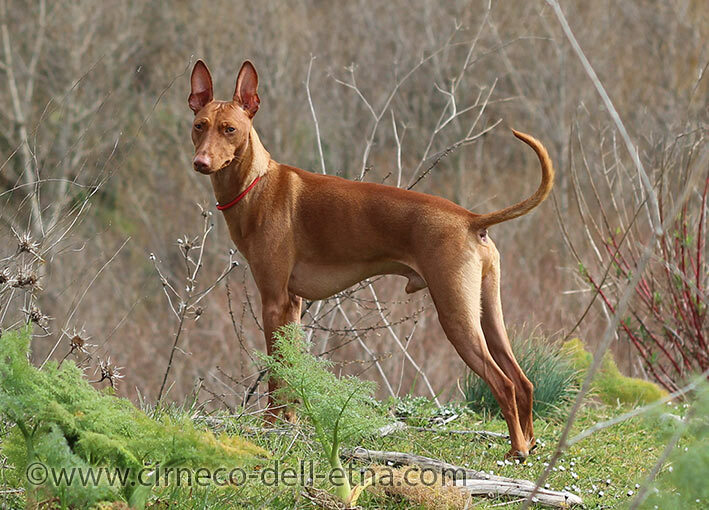 He is an extraordinary beautiful cirneco dell etna dog. He carries his ears high and proud, has a muscled body. Symmetry in all. Elegant and compact at the same time. Good proportions in his body. One of a kind. In the past few months of his young life he already showed himself calm, balanced, independent enough, brave, kind and social. He lives together with another cirneco and shows respect to her. Ottoman his honey coloured skin and golden character are a true joy. On his first dog show the judge told about him 'This little guy definitely enjoys his day out'. The beauty, joy and happiness he shows by his expression and his attitude reflects on the people he meets. A child of the sun. Sending rays of light to all who meet him. I am thankfull he could join our family. Ottoman lives with us as if he always has been here.